Practice makes perfect – or does it? Alternative view for preparing for presentations. Practice makes perfect. It makes sense then, to be careful what you practice. This phrase made me stop and think when I read it in ‘Don’t Sweat the Small Stuff ‘ by Richard Carlson recently. Because for many years when people have said that to get better at presenting you need to practice,(after all practice makes perfect), I have always felt obliged to qualify that sentence. Yes indeed, working at your presentation, crafting it, rehearsing it, testing and experimenting with it IS essential. But practicing to make it perfect? – well, not always. Too many times I meet speakers who have practiced and practiced and practiced…until the very life and zest and passion has been sucked out of their presentation. What they end up delivering is dry, rote and meaningless. Because they have practiced it to get it perfect – over and over and over. I have always believed that the aim of practice is to change things – the look, the sound , the feel, the sense of what you are saying. And once you stop changing, then it is right…Perfect practice makes perfect. So coming across the addition to the well known phrase – be careful what you practice – gave me pause. 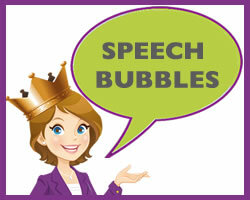 Are you are in the habit of being uptight and anxious about speaking in public? Are you getting your knickers in a twist and allowing your thinking to snowball into a self doubt, negativity and panic? 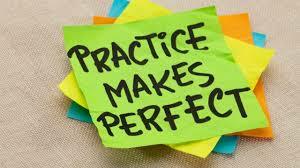 Because if you are, then you have practiced it…and practice will make perfect. How about some perfect practice? : in your focus of attention, how you prepare, in the habits that make you a powerful and persuasive speaker, a convincing and confident presenter. Because here too, perfect practice makes perfect. Let me know your thoughts on this one. I am sure it raises some important questions. Practice forms the backbone of my SpeakUp Plus programmes in Cheshire. Check out the link to find out more about the latest programme. Presentations in disguise – are you wearing camouflage? One Response to Practice makes perfect – or does it? Alternative view for preparing for presentations.